Yeah, we know it’s early but that’s what stores do these days – the Christmas stuff is there right along side the Halloween stuff. 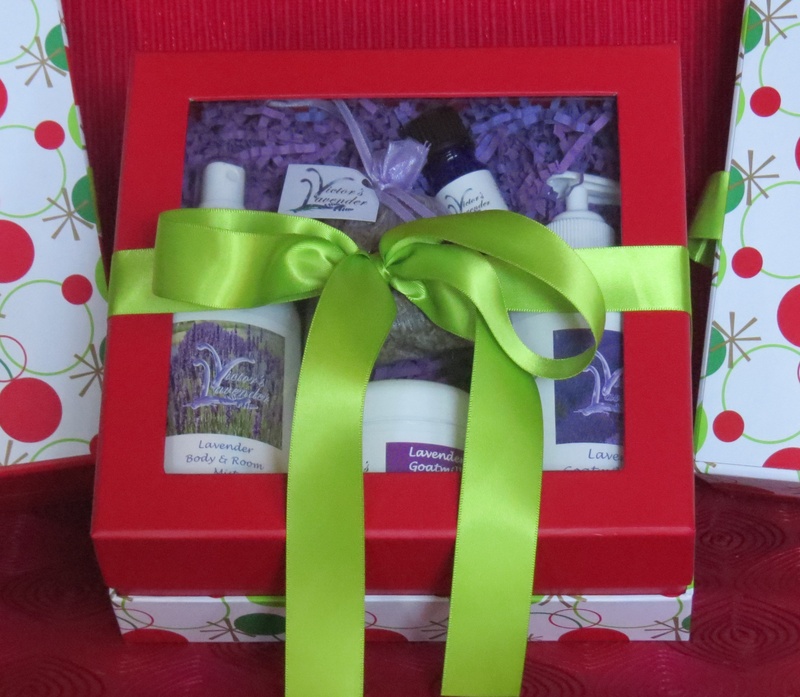 Ok, so now we’ve got you thinking Christmas – think about our new Christmas Gift Box for those lavender loving friends of yours. 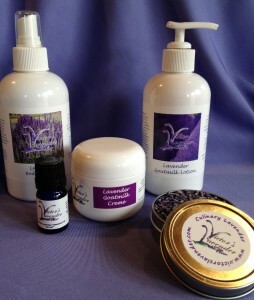 This box contains 5 great lavender scented products including an 8 ounce bottle of Lavender Goatmilk Lotion, 8 ounce Lavender Body and Room Mist, 2 ounce jar of Lavender Goatmilk Creme, .25 ounces of our premium organic Lavender Essential Oil and a tin of Victor’s Culinary Lavender. (Has anybody tried lavender in your turkey dressing?) What more could you ask for. These beautiful gift boxes will sell for $60 and come with FREE SHIPPING. How can you beat that? You can find this and other great gift ideas in our web store under Home & Gifts. We will begin shipping on December 1st and the last day to ship for Christmas delivery will be on December 18th. Be sure to order early as quantities of this great gift box are limited. Oh, and just for the record, we want to wish you a Super Spooky Halloween and a very Happy Thanksgiving before we wish you Merry Christmas.